Pedigree Schmackos Dog Treats Multi Pack contains four different flavours in a total pack size of 20. 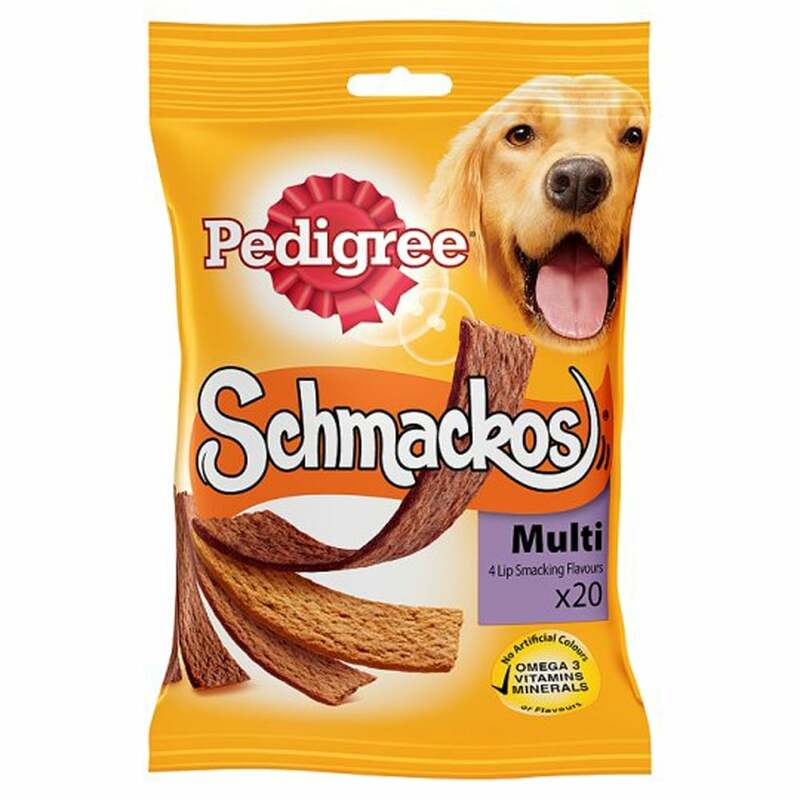 Schmackos contain Omega 3 to help keep your dog fit for life, vitamins to help maintain their natural defences and minerals including calcium to help give them strong bones. These Pedigree Dog Treats contain no artificial colours or flavours. Dogs love these soft and scrumptious Schmackos that are full of the meaty flavours that dogs adore. Feed whole or tear into smaller pieces for training, either way you will be treating your dog with the thing he likes best.